Abante International, although a discipleship and leadership program all encompassed in a global missions’ experience, it is also an equipping resource to help students sharpen their gifting and interest, so that these can be used as tools in their future career/ministry. While in Puerto Rico, colleague Violeta Haro-Oropeza, who has a range of talents and interests, had an opportunity to Intern for a day at the “Desciende” Concert with special guest performers and ministers, Christine D’Clario and Marcos Barrientos. 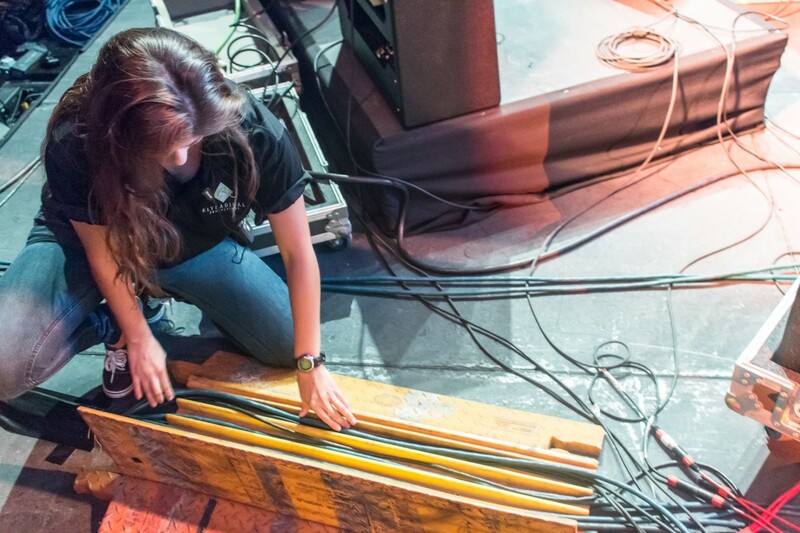 Violeta has shown an interest in media and sound, and as part of her internship in the island, Abante International connected her with Joel Rodriguez, who is the Stage Manager for Elyradical Productions. Mr. Rodriguez took her under his wings for a day to work at the concert. She was thrilled with excitement at the opportunity of being able to attend the concert, but also to be able to see the work in action, and get a hands on experience. Obviously, this opportunity was unique for Violeta, as it helped her in narrowing her options, as well as seeing her possible career in action. However, the experience was more meaningful because Violeta was able to witness a miracle on stage; the testimony of a young girl who had been deaf since birth, but now was singing a duet with Guest Christine D’Clario, after experiencing a powerful healing.